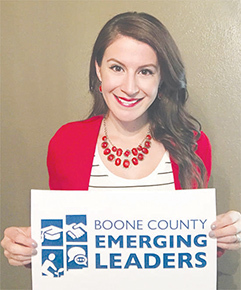 Boone County Emerging Leaders, formerly known as Boone County Young Leaders, will host their “Kick-off Event” next Thursday, March 15, beginning at 6:30 p.m. in the Cardinal Inn. This will be an opportunity for young adults throughout the area to come and learn about the group and enjoy networking. 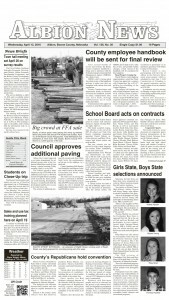 There will be games, prize giveaways, and snacks catered by local chef Curtis Luettel. Boone County Emerging Leaders is planning exciting activities for 2018. BCDA Executive Director Michelle Olson took over responsibilities for this group in August 2017 when she started her position with BCDA. With the help of former group leader Brandi Yosten, Michelle was able to develop a committee for the group with the goal of having representation from each village/town in the county.